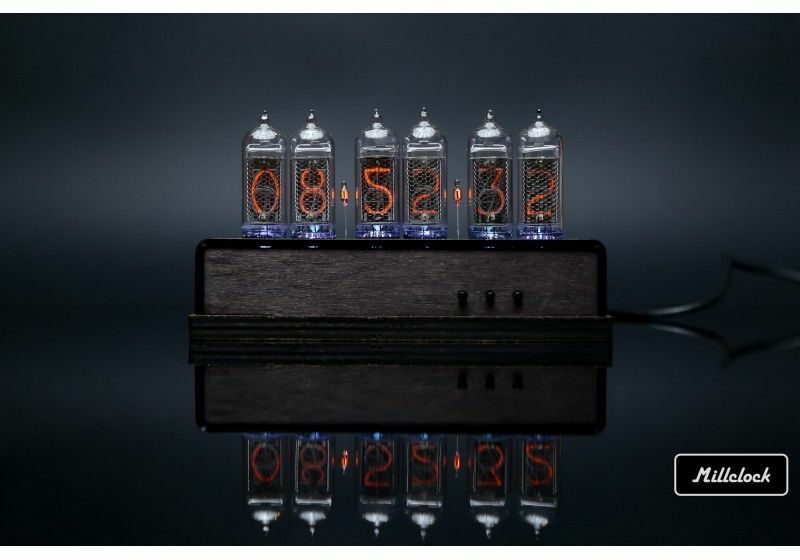 If you prefer a unique experience allowing you to leave a memorable impression, just buy this model of nixie tube watch and enjoy its stunning look and a range of helpful options. 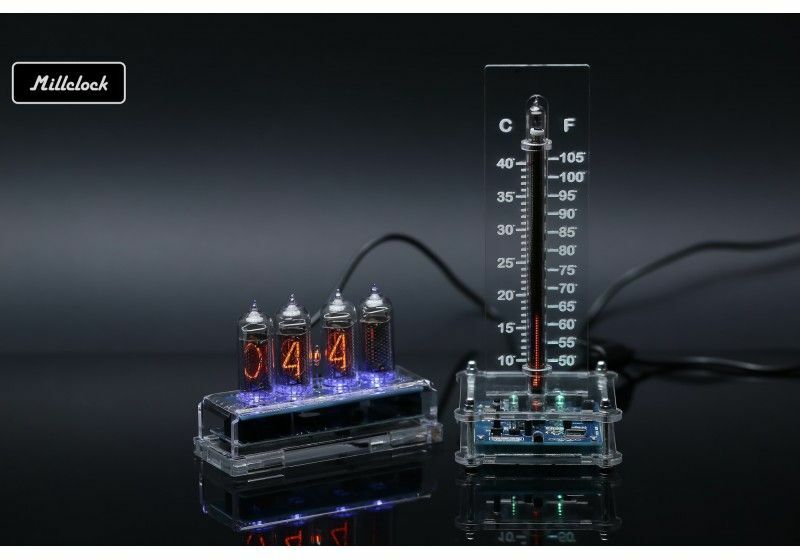 If you prefer a unique experience allowing you to leave a memorable impression, just buy this model of nixie tube watch and enjoy its stunning look and a range of helpful options. All Millclock products are produced in Ukraine with use of safe components of high quality. You can be sure of one-off production and durability of the mechanism. This watch is available with a black anodized aluminum case protecting it from any mechanical damage. 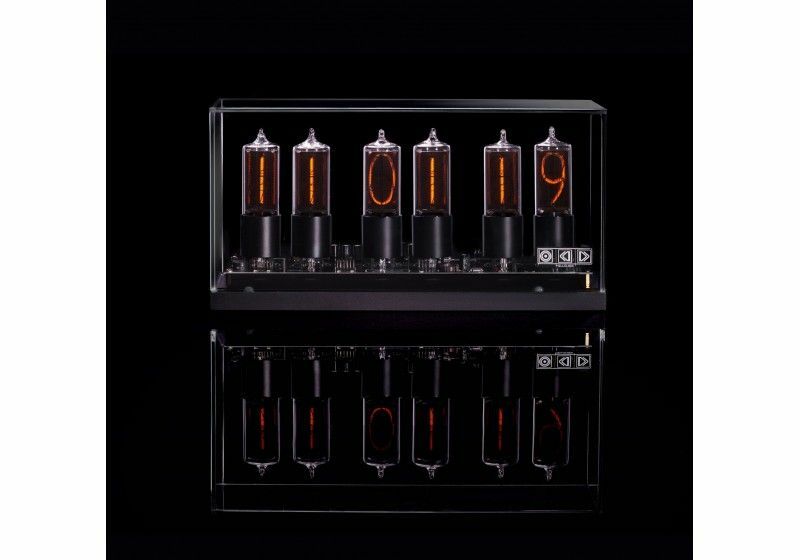 Inside it there are New Old Stock Nixie tubes and particular display technology showing the exact time in that out of the ordinary way. In addition the construction includes programmed circuit and comfortable strap tailored in correspondence with the main design idea that is near to steampunk. The watch is a little bit aggressive, futuristic, and very cool, reflecting the real nature of the owner! • The long operation without a charge due to durable battery. • Reliable case that is not heavy to wear on wrist. • Micro USB /USB connector providing easy connection to a computer or other power source. • The indicator of charge level allowing to avoid a unexpected discharge. • Affordable price making this beautiful technology to be popular with everybody. You are free to choose what you like most! And this marvelous accessory can be purchased at our e-shop. We are ready to suggest the best conditions compared to other offers of familiar kind existing at the market.